Nobody loves public holidays and long-weekends more than Australians do. We are, without doubt, world champion long-weekenders par excellence. Aussie icons. Image credit: Tourism Australia. Public holidays are great, and when they fall on a Friday or a Monday—creating a long weekend—well, that's a cause for celebration. That extra consecutive day away from the grind and graft of work seems to inflate the weekend's possibilities two—sometimes three—fold. It's a kind of mathematical witchcraft where two plus one feels like five, and the potential for adventure is almost endless. As we return to work after the Christmas-New Year break with minds brimming with wistful memories of, well, not working, it's worth noting that 2019 is about to bring us an Australia Day long weekend. You beauty! So, how are you planning to spend those three wondrous days this year? It’s a truth universally acknowledged that long weekends are made for road trips. After all, being cooped up in a car for more than a couple of days can test any relationship. Three days is not too short, not too long. It's just right. So, if you've got wheels and those Australia Day feels, where should you go for maximum Australiana? You could aim for Summer Bay and extract a 'Flaming Galah!' from Alf Stewart. Or you could set off on your very own Big Things pilgrimage. Getting an Australia Day fix at Ballina’s Big Prawn. It's estimated that there are more than 150 big 'things' in Australia. That's probably more than anyone could visit (and marvel at) in a single lifetime. So, if you only have a couple of travel days, which Big Things should you visit? The Sunshine State's capital is a brilliant starting point for a quality Big Things Australia Day road trip. For starters, one of Australia's truly legendary Big Things, The Big Pineapple, stands proudly at Nambour—just 90 minutes or so from Brisbane on the Sunshine Coast. Gazing up at The Big Pineapple. For a while there back in the heyday of big things, the 16 metre tall fibreglass pineapple drew over a million visits a year, making it one of the most popular tourism attractions in Australia. Drive fifteen minutes north to Kulangoor, and you just might spot The Big Cow. The cow was originally constructed as an attraction on a working dairy farm. Sadly, the farm is no longer open, but the mighty concrete cow still stands. The Big Cow at Kulangoor. The Sunshine Coast is something of a Big Thing hotspot. Not far away in Tewantin you'll find The Big Shell. The shell itself was once the entrance to a shop selling shells and other beachy nick-knacks and coastal-inspired homewares. It has seen better days but it’s a classic piece of Big Thing memorabilia. The Big Shell in its heyday. Heading further north along the Bruce Highway in Kybong, 11 kilometres south of Gympie, you'll come across Matilda the Big Kangaroo. Many will remember Matilda from her turn as the official Mascot of the 1982 Commonwealth Games in Brisbane. She no longer winks but she still turns heads. Matilda The Big Kangaroo at Gympie. On your way back to Brisbane, be sure to swing through Birtinya—between Mooloolaba and Caloundra—for a photo opp with the most recent edition to the Sunshine Coast’s suite of BIG things: The Big Child - a 6-metre tall sculpture of a cartwheeling child. One thing you don’t want on your Big Things road trip is any kind of hassle. Work with an ATAS accredited travel agent to keep the hassle small, and upsize the good times, value and support. Head north from Sydney along the Pacific Highway and you'll enter more Big Things territory. For decades these oversized attractions encouraged road-trippers to break their journey and hit the gift shop. In recent years, some have been bypassed by stretches of lovely new freeway, but with a little effort you can still track them down. First up, Taree's Big Oyster. Once a popular restaurant, souvenir shop and symbol of an important local industry, The Big Oyster now sits atop a car dealership. But there's more to Taree than a defunct tourist attraction. Visit at the right time of year and you might very well find yourself in the thick of the Easter Powerboat Classic, The Taree Gold Cup, The Manning River Summer Festival or the annual Taree Show. 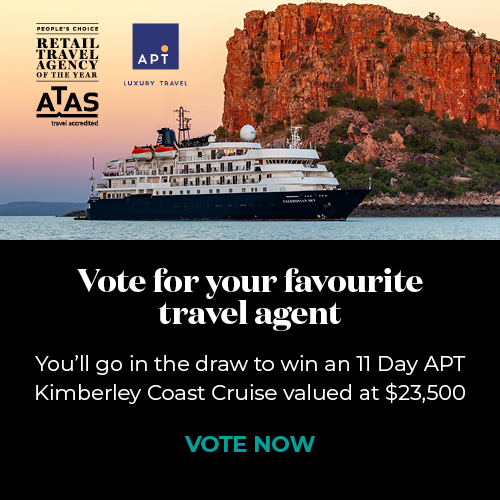 Contact your favourite ATAS accredited travel agent to plan your visit to Taree. Continue north for 200 kilometres and you'll find The Honey Place with its big bee hive. Not unlike Tewantin's Big Shell, the hive here is the main entry to the family run The Honey Place. Drop in, learn about the fascinating practice of beekeeping, and taste and buy some honey to sweeten the journey ahead. The Big Bunch of Bananas, Coffs Harbour. Coffs Harbour is just 25 minutes up the Pacific Highway from Urunga, and presents a flurry of roadside Big Things including Cunningham's Big Bunch of Bananas, The Big Windmill and the legendary Big Banana. The Big Banana is a thriving tourism centre that's home to a number of banana-themed experiences and dining, as well as a 'fun park' with ice skating, laser tag, giant slide, water park and toboggan ride. Coffs Harbour and its surrounds are fabulous tourism destinations in their own right with a range of accommodation options to suit just about any budget or travel style. Plan your visit with an ATAS accredited travel agent and get your Coffs Harbour holiday right every time. Coffs is also home to The Big Windmill—an unexpected attraction in this part of the world. The windmill houses an equally unexpected Bavarian restaurant at the motel in which it is located. Whilst more Austrian than Australian, a stop here for sausages and beer might just make for a pretty great Australia Day. You might think it'd be time to turn around and return to Sydney, but no. Not on your nelly. Push further north towards Byron Bay and take the Ballina exit for more Big Thing kitsch. Ballina is home to The Big Prawn, a rather impressive oversized crustacean. Originally built in 1989 as part of a service station-tourist attraction, the structure was slated for demolishing after the servo closed in 2010. What saved the prawn? Outrage from the locals. A petition to keep the town's icon was signed by thousands and, when the site was bought by Bunnings, the hardware behemoth generously decided to keep and renovate the prawn. That renovation cost in the vicinity of $400,000 and included adding the tail it never had before. The Big Prawn weighs more than 35 tonnes, is nine metres tall and is a great spot for a shellfish selfie. There are a few more lesser-known Big Things nearby including Ballina’s medium-sized pineapple—a stone’s throw from the prawn—and the Big Knight at Knockrow's popular Macadamia Castle. The Big Knight at The Macadamia Castle. Image credit: Stuart Edwards. A road trip along the coast with friends on Australia Day? That gets a big tick from us. No matter what inspires you to hit the road on Australia Day, your favourite ATAS accredited travel agent can help you with every detail from car hire, to accommodation, attractions and travel insurance. Your ATAS travel agent can also help ensure you are set prior to departure but here’s a few travel warnings and useful tips to keep in mind.